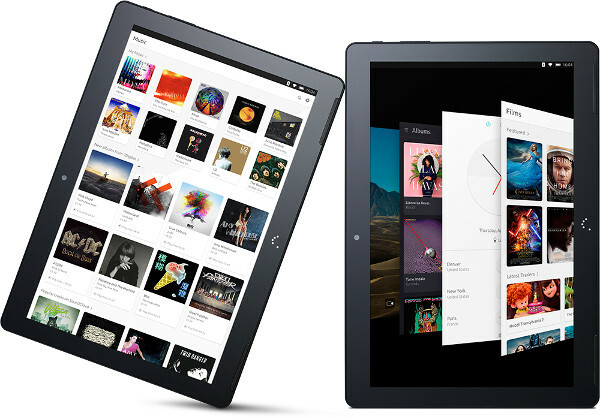 The tablet has 10.1″ IPS multi-touch display with aspect ration of 16:10 wide-screen, 2GB RAM and 16GB internal storage where 11.2GB is available for user. Also, the storage is expandable up to 64GB using a microSD card. Only 64GB. Support for at least 128GB should have been there. Depending on the success of this tablet we may see that in the future. 8MP camera at the back with 5MP at the front of the Full HD version. Running with MediaTek Quad Core MT8163A processor clocked at 1.5GHz should offer a good experience. LiPo 7280 mAh battery inside Aquaris M10 should keep it running for a good amount of time. On the other side, the HD version has only 5MP camera at the back and 2MP at the front and MediaTek Quad Core MT8163B up to 1.3 GHz processor. There are few different ports available on this tablet, 3.5 mm jack, Micro-HDMI, micro-USB OTG, MicroSD slot. You can use your existing flash drives using this cheap USB to micro-USB adapter if you don’t have an OTG cable. No full size USB port as seen them on Microsoft Surface devices. Design and OS wise the BQ Aquaris M10 looks good but the specs really put it a bit down. We need to consider that this is their first tablet in market though. 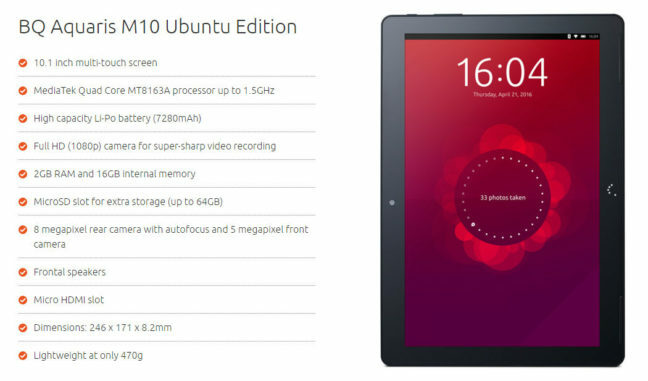 Should we expect more tablets coming with Ubuntu OS and better specs and features?